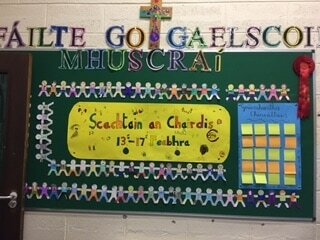 Tá Gaelscoil Mhuscraí taréis Stádas Scoil Cothaithe Sláinte a bhaint amach mar thoradh ár n-iarrachtaí sláintiúla. 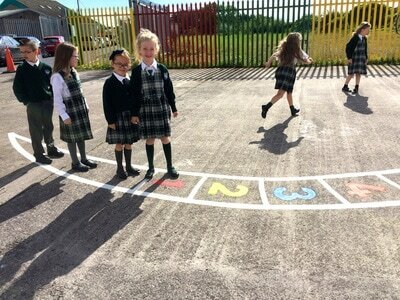 Is scoil gníomhach sinn a dhéanann gach iarracht an sláinte a chuir chun cinn sa scoil. 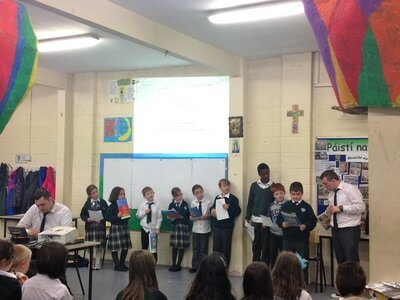 Deanaimid gach iarracht spóirt agus spraoi a sholáthar dona páistí agus cuirimid beim ar lón sláintiúil sa scoil. 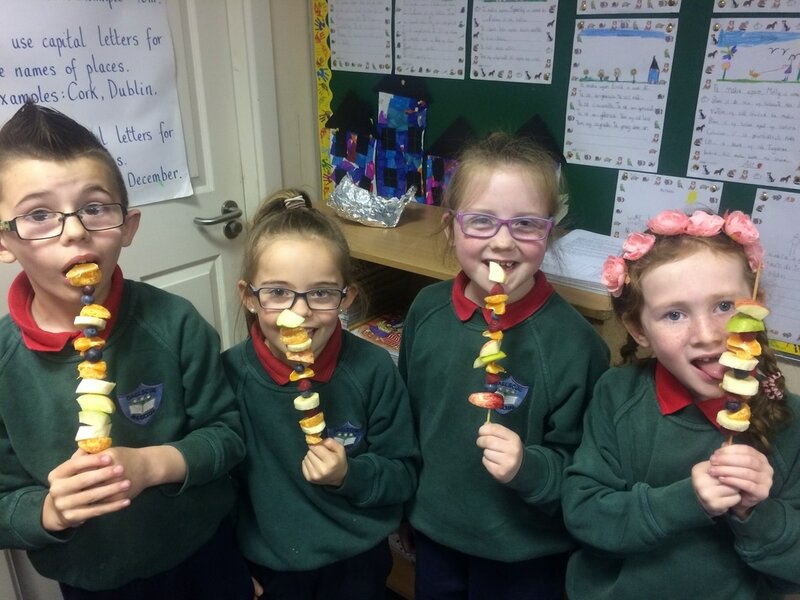 Bíonn Seachtain Ghníomhach agus Seachtain an Chairdis againn sa scoil gach bliain freisin.Tá polasaí lón sláintiúil sa scoil freisin. Gaelscoil Mhuscraí has been an active member of the HSE Health Promoting Schools initiative since 2015. 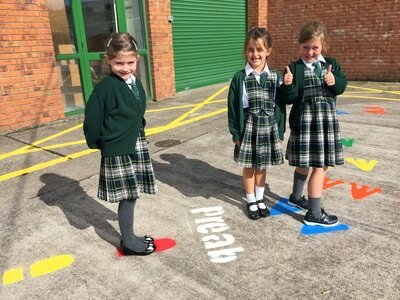 We are an active school and a Green School and place an emphasis on encouraging healthy lifestyles amongst the school community. 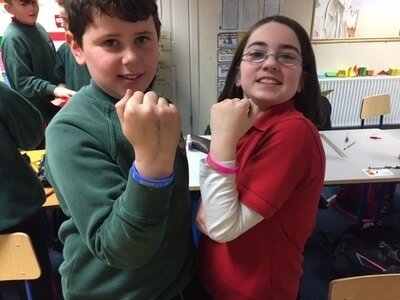 We provide the pupils with as many opportunities to be active as possible and we celebrate Active School Week and Friendship Week. 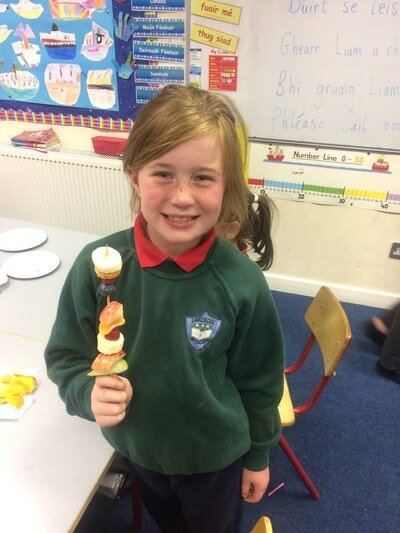 We have a healthy eating lunch policy also where healthy lunches are encouraged. Is fearr na sláinte ná na táinte! 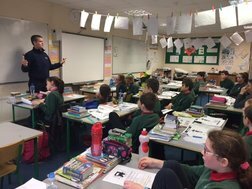 D'árdaíomar an Brat Scoil Cothaithe Sláinte ar an 28ú Meitheamh 2017 ós comhair slua maith. 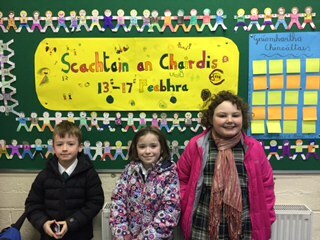 Tháinig cainteoir, Margaret Crowley, ón HSE chun ár n-iarrachtaí chun sláinte a spreagadh a mholadh. 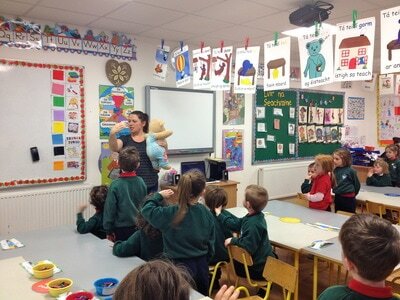 Bronnadh teastas ar bhaill an Coiste Cothaithe Sláínte freisin. 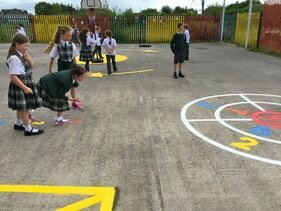 We raised our Health Promoting School flag on the 28th June 2017. Margaret Crowley, from the HSE, spoke to the assembled audience about how our school helps to promote healthy life-styles amongst the community. Certificates were presented to members of the Health Promoting School/Active School committee. Comhghairdeas leo! 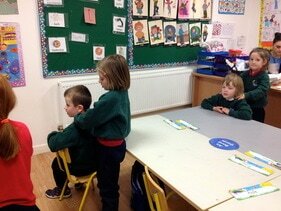 We really enjoyed Friendship Week in February at school. 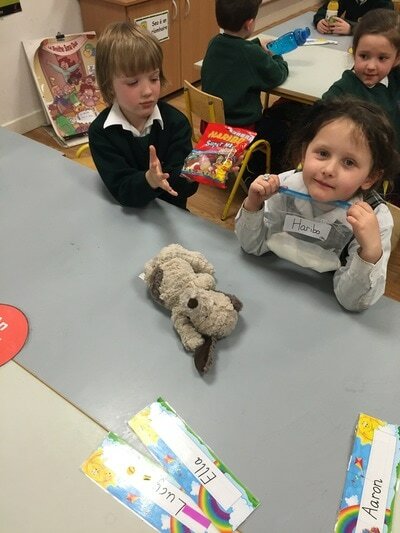 Each pupil had been assigned a secret friend who they made a special effort with during the week. 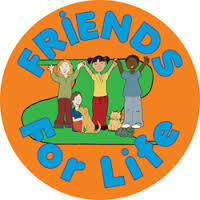 A poster based on the theme of Friendship was designed as well with friendship bracelets from Amnesty International as prizes for the best creations. 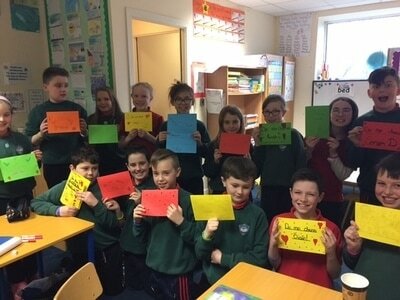 A Friendship Week display was also outside the school hall.Garda Séan also visited the senior classes to talk about being respectful and safe online. Taímid taréis iarracht a dhéanamh feabhas a chuir ar thimpeallacht na scoile. Phéinteálamar an clós agus na geataí timpeall an clós. 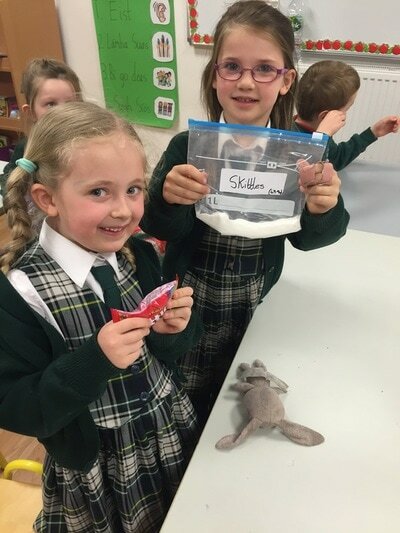 Cuirimid bláthanna ós comhair na scoile nuair is feidir. 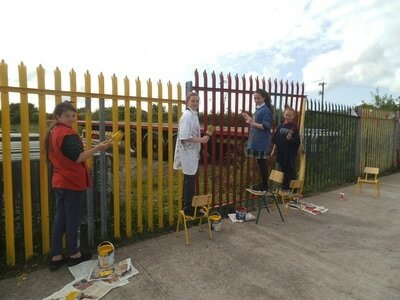 We've made efforts to improve the school environment by paint our school fencing and having our yard painted with yard games and walkways that the pupils can benefit from. 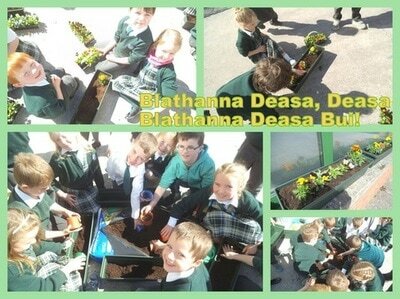 We plant flowers in front of the school when the weather improves, also. 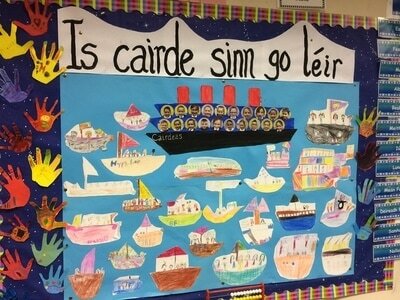 Cuirimid béim ar an sláinte meabhrach sa scoil. Déanann ranganna áirithe aireachas. 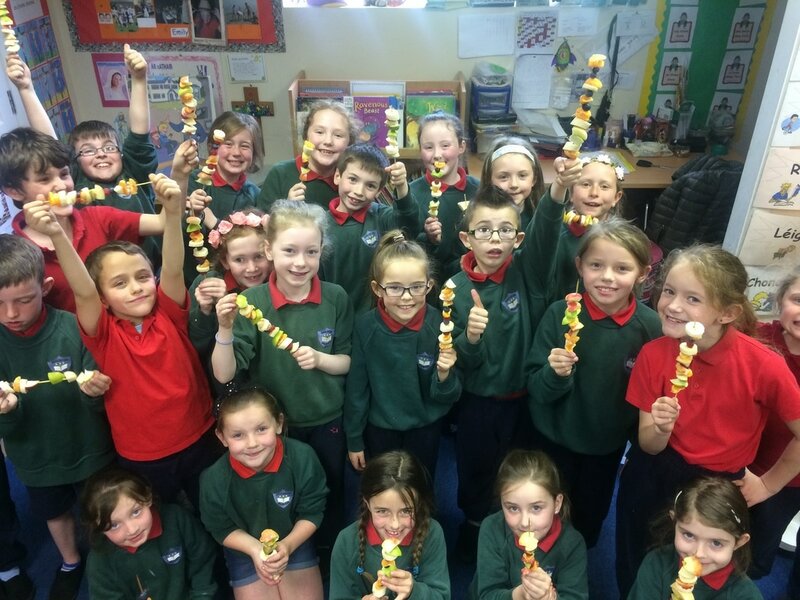 Deanann Múinteoir Clár sa scoil an scéim 'Friends for Life' & 'Funfriends' a chuireann an cairdeas chun cinn agus bíonn ranganna na naíonáin ag glacadh páirte i seisiún suaitheoireachta le Mandy a chabhraíonn leo socrú isteach san obair. 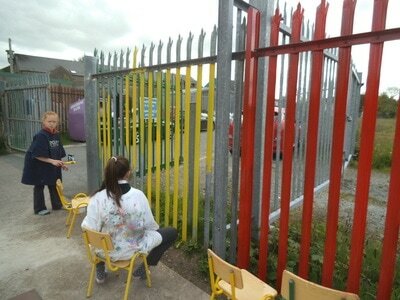 We value mental health in our school. We promote Mindfulness techniques to help the positive wellbeing of the children. 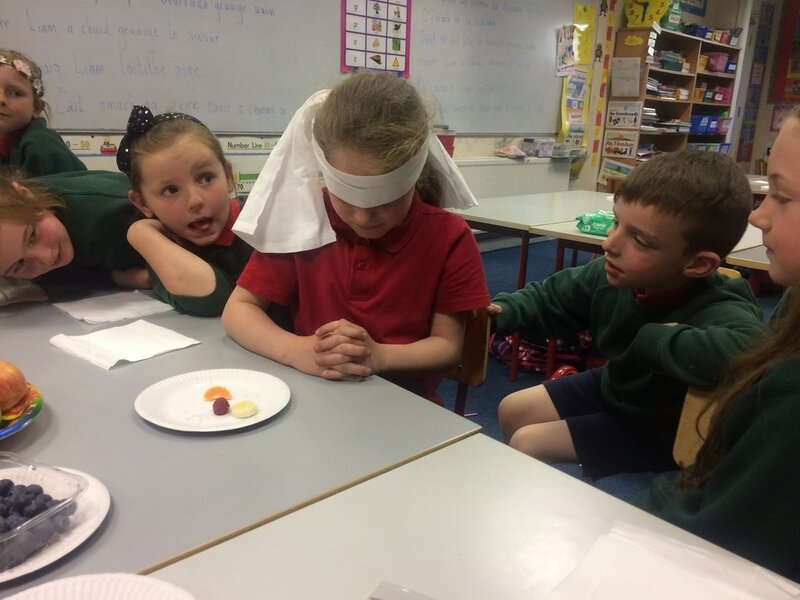 Múinteoir Clar is trained in the 'Funfriends' and 'Friends for Life' programme which helps to build resilience and prevent anxiety. 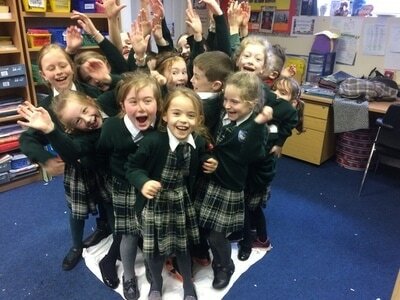 Infant classes undergo massage classes with Mandy which helps them settle into their lessons and focus on the busy day ahead! 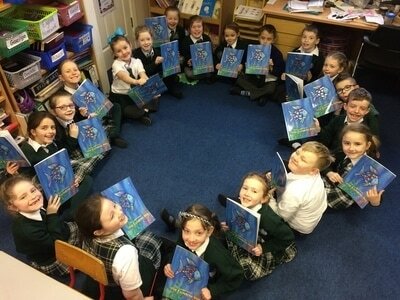 Bhí an-seó curtha i láthair i halla na scoile Cyclone Rep Theatre Productions cuairt ar an scoil.Chuireadar dráma, plé agus céardlann bullaíochta ar fáil dona paistí. 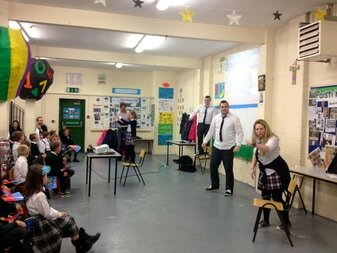 An excellent show was performed in the school hall recently from Cyclone Rep Theatre Productions. 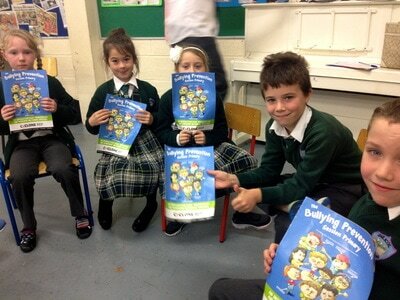 A play, discussion and workshop on bullying was presented to the students from 2nd to 6th class. 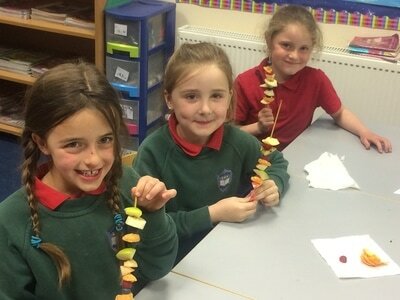 Bhí na Naíonáin ag déanamh scrúdú ar an méid siúcra atá i mbia áirithe. 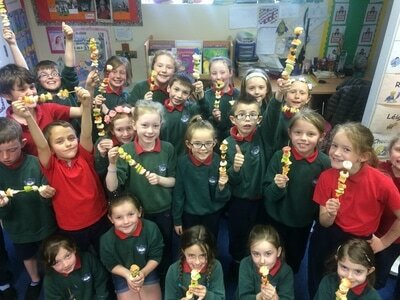 Bhíodar ag cur béim ar an dtábhacht a bhaineann le bia agus lón sláintiúil. 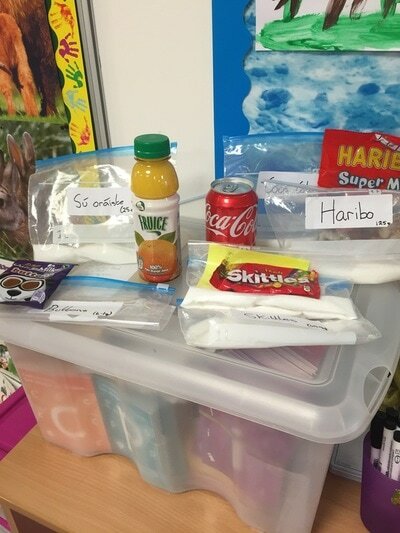 Our Infants were examining the amount of suger that is in some foods. 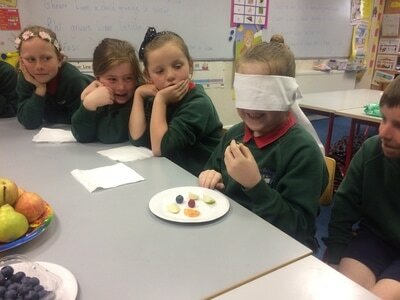 They learned about the importance of eating healthily and having healthy lunches. Cibeab Torthaí / Fruit Kebabs i Rang 1!